Freelancing often feels like herding cats while simultaneously playing drunken hopscotch. If you’re one of those mythical multi-passionate types, it can be even harder – because you’re doing all of that on top of eking out times for other side projects to stabilize your income (or just provide a much-needed creative outlet). I don’t have all the answers (spoiler alert: nobody does, & if they tell you differently they’re selling something) but I do have damn near ten years of experience freelancing, much of it chronicled here. So if you want biz-tips without the bro-factor, productivity tips without the lifehacky crap, or you just want to see behind the curtain of a successful freelance business without the sugary coating, you’re in the right spot. Want to learn more about me & my background? Head here. PS: Even if you aren’t a freelancer, you can stick around. I don’t discriminate. Promise. Reviews on task and project management tools? 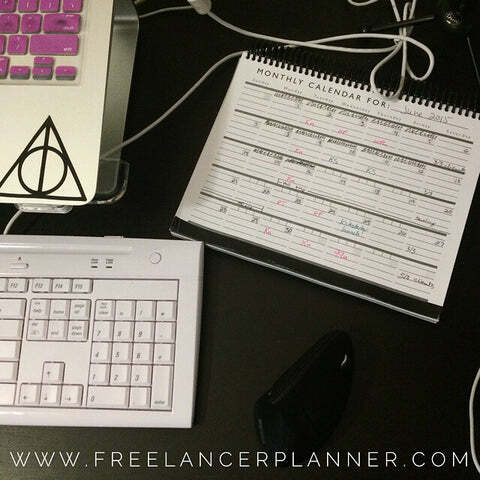 Free worksheets and tools to get (and keep) your freelance biz up and running? Behind-the-scenes posts on running a business?